Interests in Zen Buddhism, Taoism, and nature come together in remarkable harmony in the work of Jennifer Sparacino. The B.C. native who lives in Chilliwack draws on Eastern religion' understandings of nature as teacher, the interconnectedness of all living things, and the importance of being in the moment. "Nature," she says, "takes us as we are and can help bring the mind back to what is right here, right now." Wild animals have become for her "a way of showcasing the intense presence of immediacy of living in the moment-they are simply being." Studies in graphic design and commercial illustration at Capilano University, followed by work as a graphic designer for a newspaper and then a marketing firm, had an enormous influence on both Jen's style and her working approach. Strong composition, careful design structure and the effective use of white space are all elements developed in her design background and evident in the style of her paintings. On the business end of things, she says: "I think the decision to work as a graphic designer in a marketing setting helped me think more like a marketer and develop some business savvy. It helped further my time management skills and professional development. I also learned how to be creative under pressure or how to push through periods of 'not feeling creative' and get on with my work." In 2007, Jennifer Sparacino received her 3-year diploma in Graphic Design and Illustration from IDEA School of Design at Capilano University. In 2011 she began working full time as an artist, with painting as her primary means of expression. 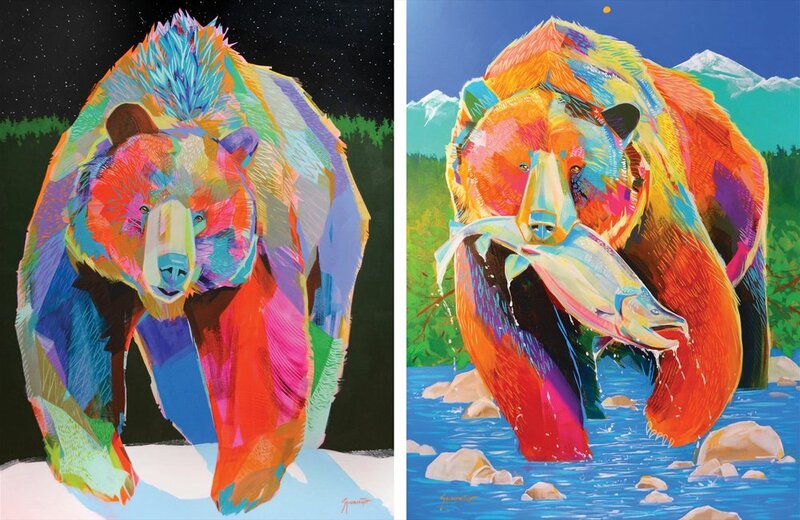 Her current body of work has focused largely on animals as subject matter, characterized by Fauvist-inspired colours and boldly applied paint with strong graphic patterns and textures. She currently lives and works in Chilliwack, BC. For more on Jennifer, see jennifersparacino.com and check out the limited edition sneaker she designed (shown above) at: sixhundredfour.com. Six Hundred Four is an artist-designed, limited edition premium sneaker brand. We live by one simple principle: shoes can be shoes; or they can be a storytelling piece of art. They start by commissioning talented artists to create incredible original art pieces. Each art piece is then featured on only 604 pairs of shoes, with every sole laser-engraved with an identification number specific to that one pair. Contrary to other premium brands, they don't shy away from philanthropy. Six Hundred Four happily donates 6.04% of sales to charities of the artists' choice. 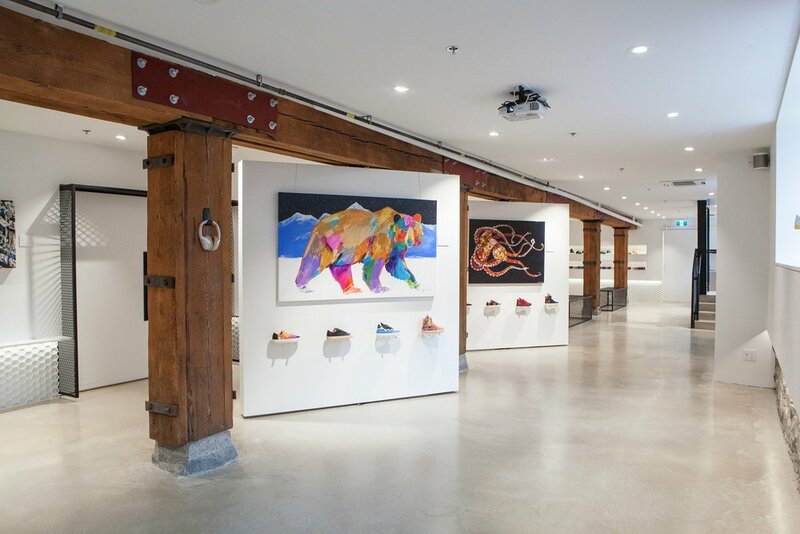 Their flagship "Sneaker Gallery" is located at 151 Cambie St in Vancouver, right next to the iconic Steam Clock. ARABELLA Magazine supports and promotes the best of emerging Canadian art, architecture & design.